The success of any project relies on the punctual, accurate and cost-effective delivery of materials, systems and facilities. Typically, a major project involves several stakeholders working together with controlled resources to deliver a completed project. It has many suppliers, contractors and customers; it has procurement and supply, demand planning and scheduling; it often lasts several years and has long lead times. Managing Project Supply Chains demonstrates how customised supply chain management can be applied to project management, ensuring project resources are delivered as required, reducing delays and costs and promoting a successful outcome. 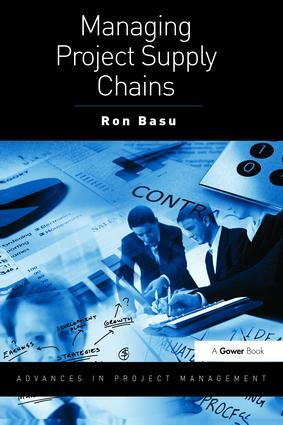 Contents: The role of supply chain as a value driver; The building blocks of a project supply chain; Project planning chain; Project delivery chain; Supply chain integration: systems and procedures; Supply chain integration: quality and performance management; Supply chain integration: regular reviews; Lean and agile project supply chain; Implementation: making it happen; References; Index.